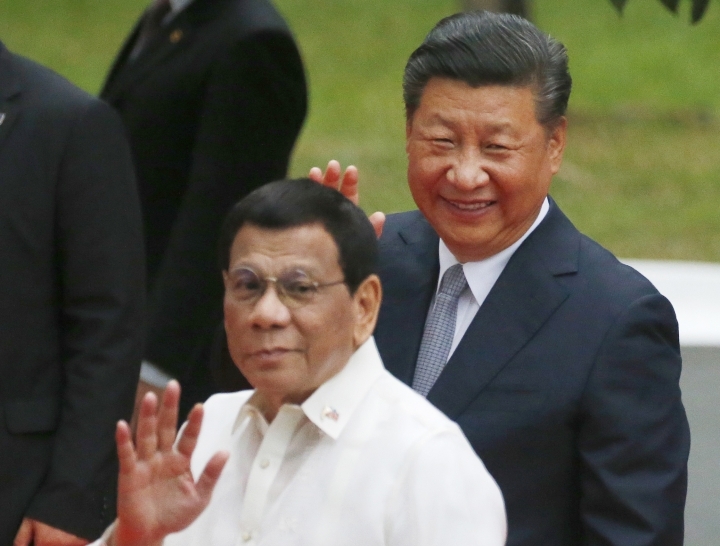 MANILA, Philippines — Two former Philippine officials have taken the bold step of filing a complaint with the International Criminal Court accusing Chinese President Xi Jinping of crimes against humanity over his government's assertive actions in the disputed South China Sea, which they say deprived thousands of fishermen of their livelihood and destroyed the environment. Duterte decided to withdraw the Philippines from the ICC last year in a move that took effect last Sunday, prompting del Rosario and Carpio Morales to file their complaint ahead of that date. Duterte's move has been challenged by human rights advocates before the Philippine Supreme Court. Asked by reporters for his reaction, Duterte said he doubted that the complaint would succeed, citing the ICC's lack of jurisdiction over China, which is not a party to the Rome Statute that established the tribunal. "Anybody can bring a suit against anybody, but whether or not it would prosper or whether or not we have the jurisdiction, that's something else," Duterte said.